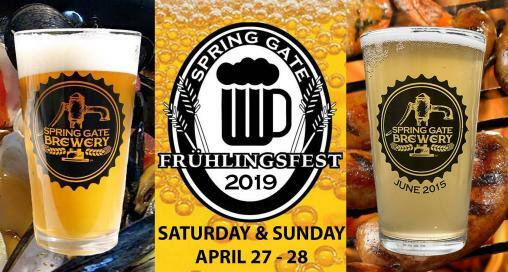 SpringGate Vineyard is a family owned vineyard located on 60 acres of former farmland between the rolling hills of Lancaster County and the Blue Mountains, near Harrisburg in Lower Paxton township. In 2010, the Schoffstall family began growing grapes – Noiret, Merlot, and Vidal Blanc, to name a few. We are also proud to have a sister vineyard in Northern Virginia established in 2003.. A warm welcome awaits you at our friendly tasting room, on our property which dates back prior to the Revolutionary War, overlooking beautiful fields and streams. Relax and enjoy a tasting of our wines indoors, or find an idyllic outdoor spot to take in the beautiful scenery. Whether you prefer fresh and crisp whites, full-bodied, savory reds, or have a sweeter palate, we're sure you'll find one to enjoy. Tastings being in March 2014. For more information on special events, please visit our website or Facebook page.